All the facts, legends and technique of the ninja are presented here y one of the foremost authorities on the subject. The Ninja, also known as Shinobi, inspired awe and terror in equal measure. Master of espionage and assassination, stealth and concealment, the ninja's ability to move swiftly and silently gave rise to popular legends of amazing exploits, invincibility and supernatural powers. 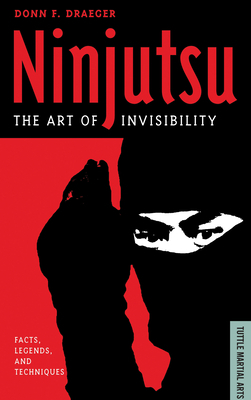 In Ninjutsu: The Art of Invisibility, Donn Draeger draws back the veil of mystery shrouding the arcane practices of feudal Japan's shadow warriors. Stripping away myth and exaggeration, Draeger reveals the secret tactics, exotic weapons, tricks and disguises that earned the ninja a reputation as history's most feared secret agents. Donn F. Draeger was a Western pioneer in the practice of Japanese martial arts. His works include Judo Training Methods, Judo Formal Techniques and Shaolin Lohan Kung-Fu.